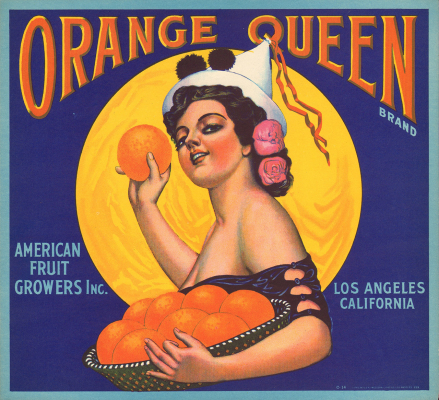 Artists who created the thousands of labels in the Citrus Label Gallery were rarely allowed to sign their work. 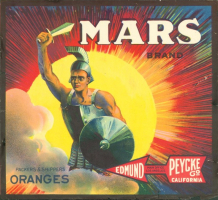 Their names are largely lost to history despite a fabulous body of work as evidenced by the images in the gallery. 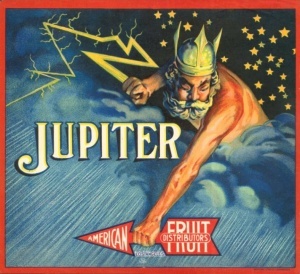 The artist who drew Jupiter Brand probably was J. Frank Derby. 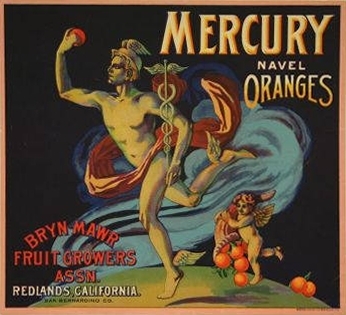 He is known to have drawn the Mercury and Orange Queen brands. Compare these labels and see if you don’t agree. 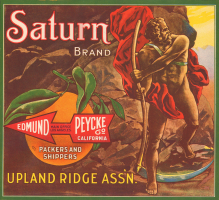 Jupiter Brand contains the red logo of the American Fruit Distributors. 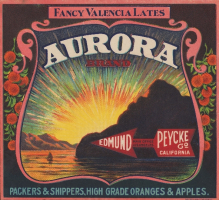 The logo was used initially by the Edmund Peycke Company. Of note for all of the labels in the gallery that contain this distinctive red logo is that they are mostly of mythological gods. 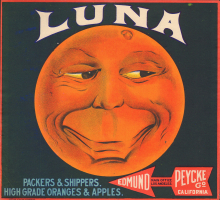 They also all appear to have been drawn by the same artist, probably J. Frank Derby. 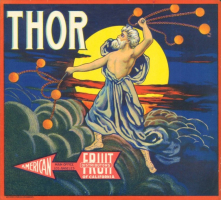 In addition to Jupiter Brand, there are the brands Aurora, Luna, Mars, Saturn and Thor.